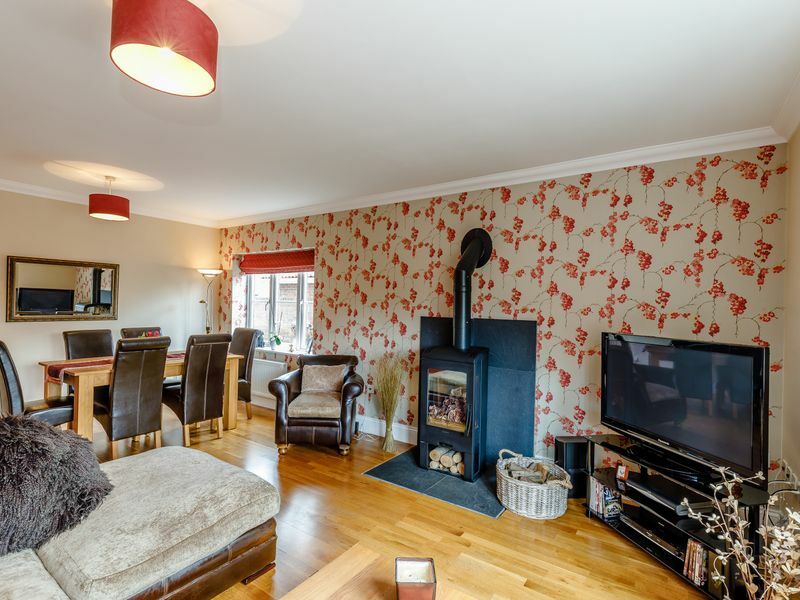 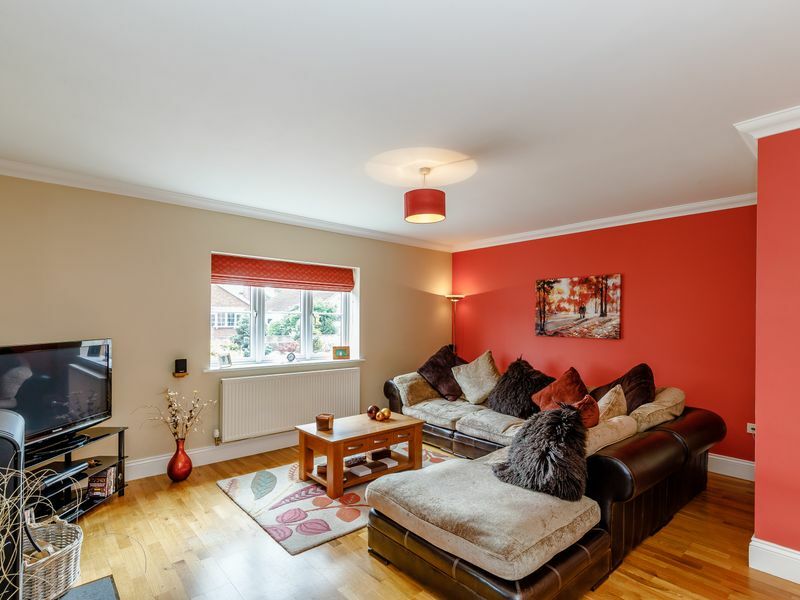 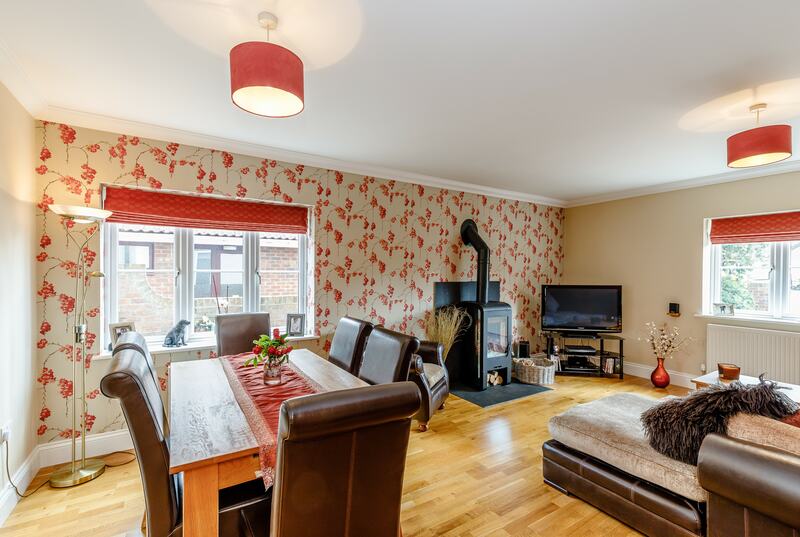 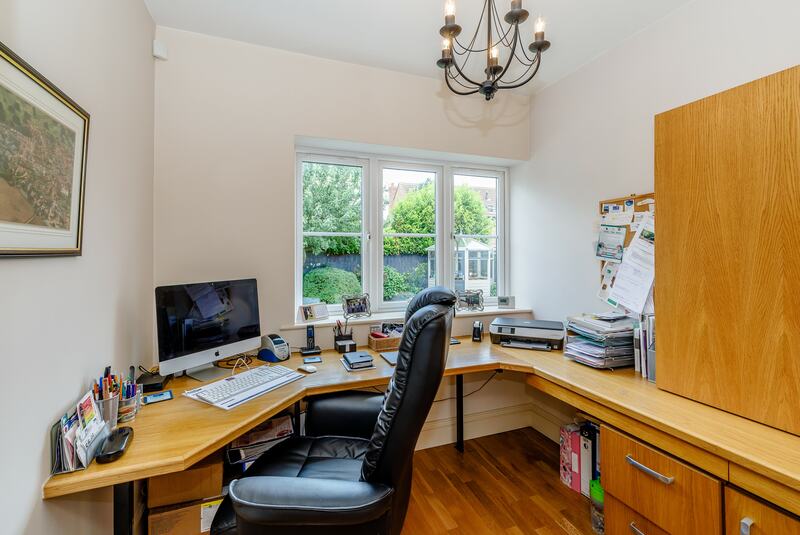 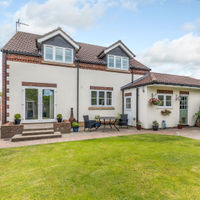 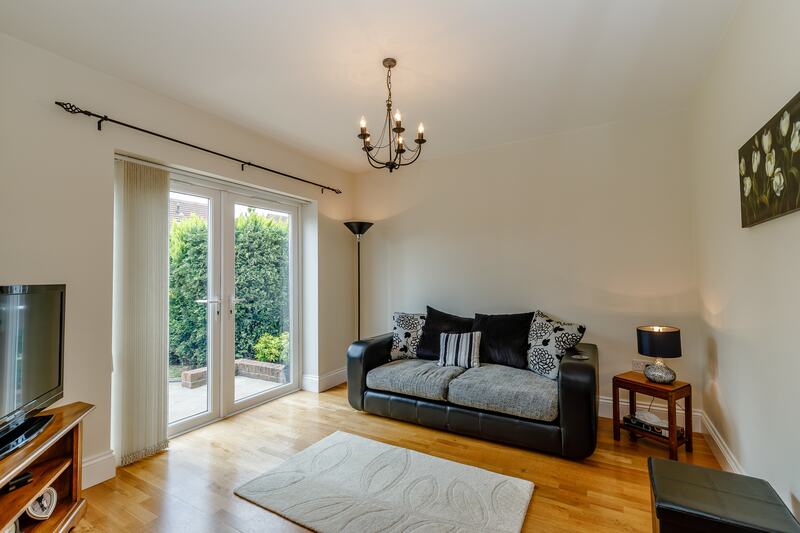 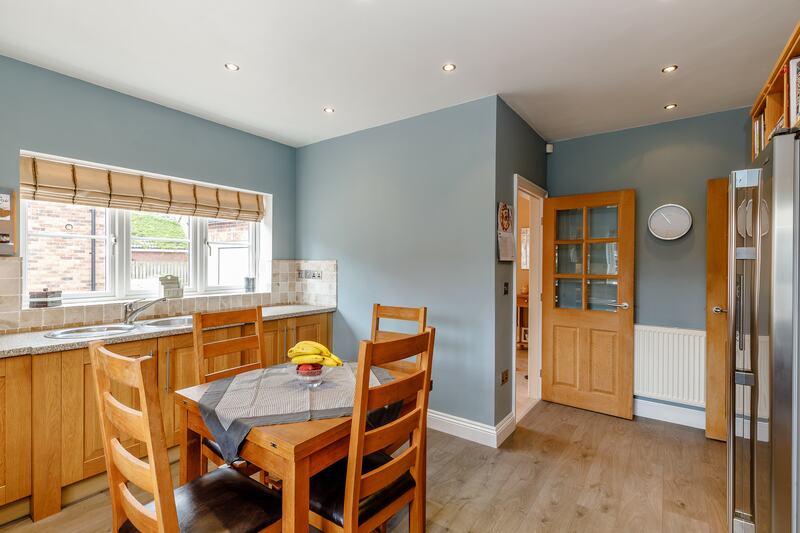 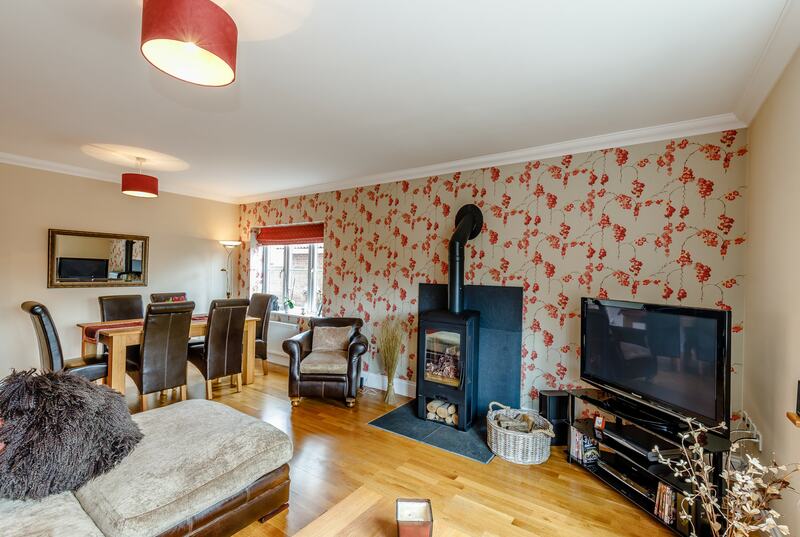 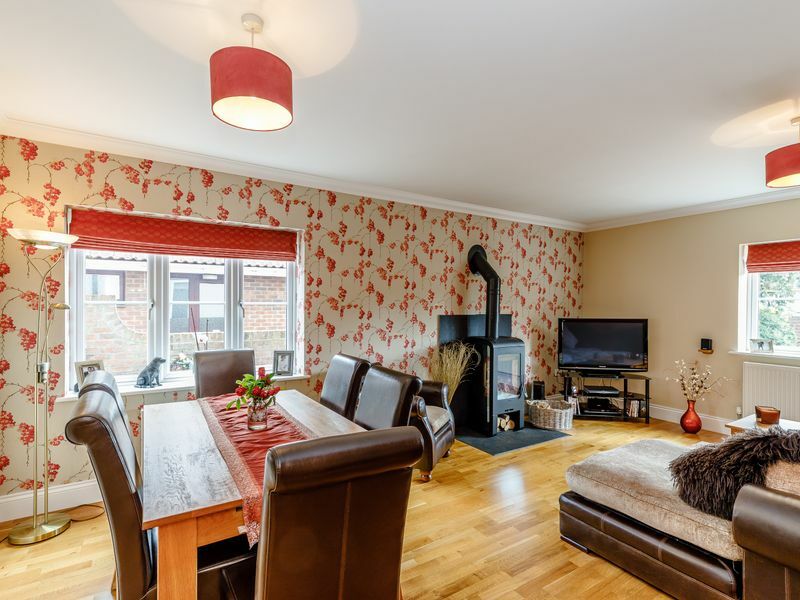 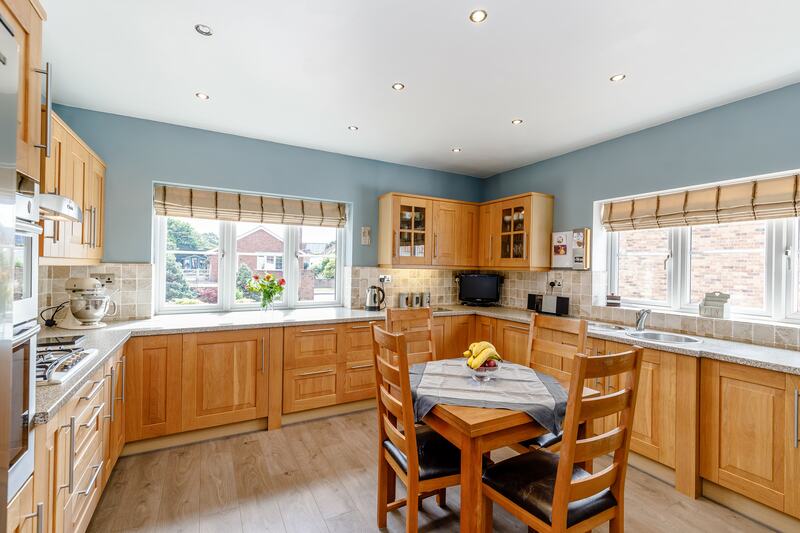 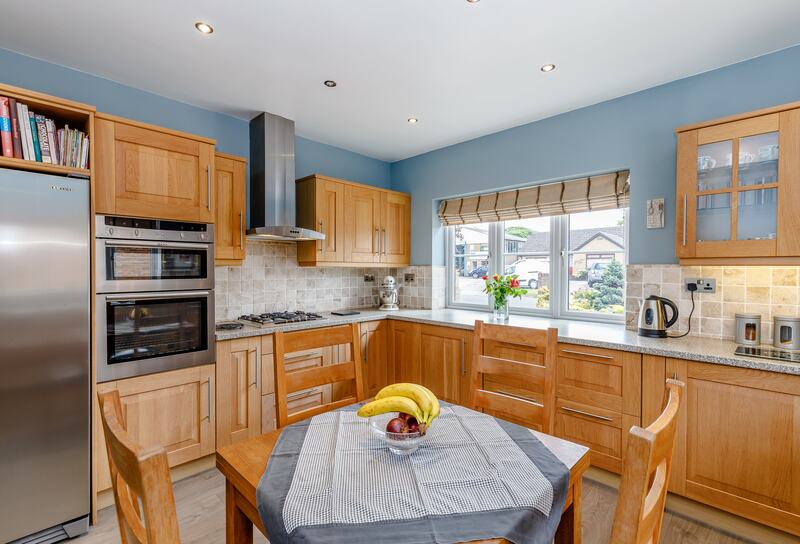 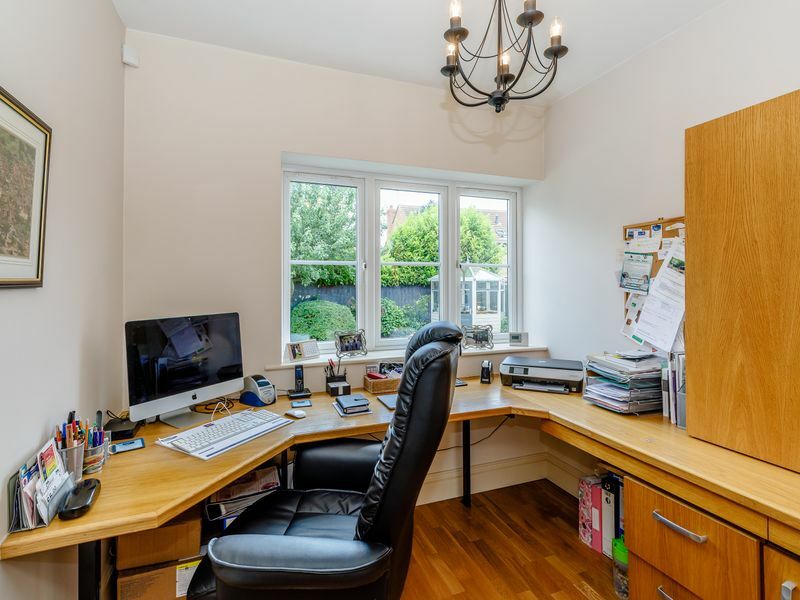 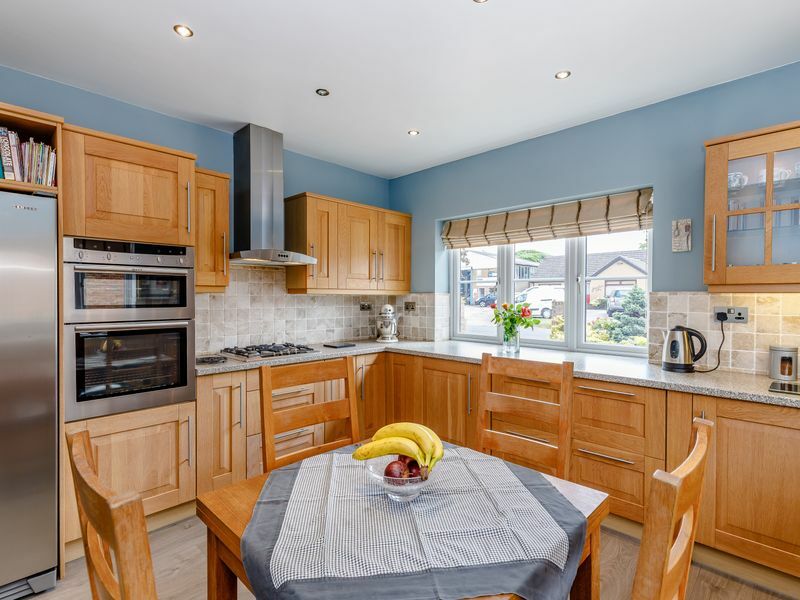 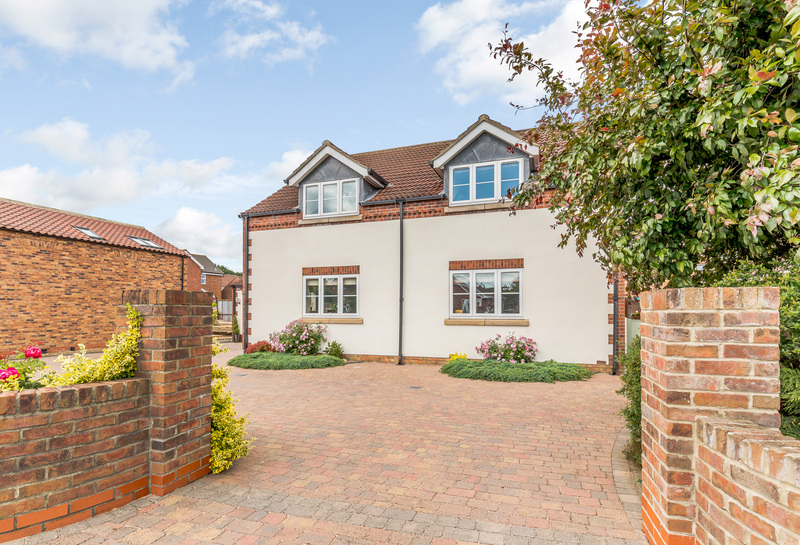 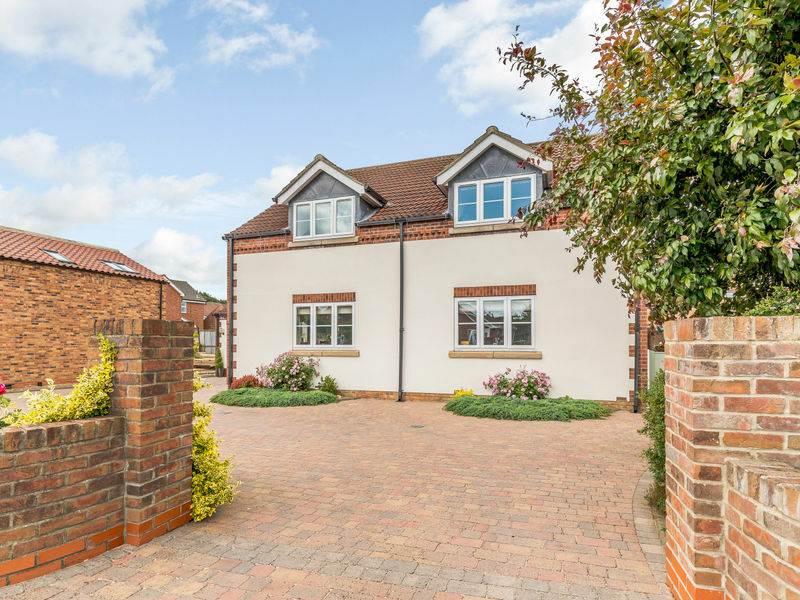 We are delighted to offer for sale this 4 bedroom detached house in this sought after village which offers many traditional local shops, restaurants, public houses, and a highly regarded primary school. 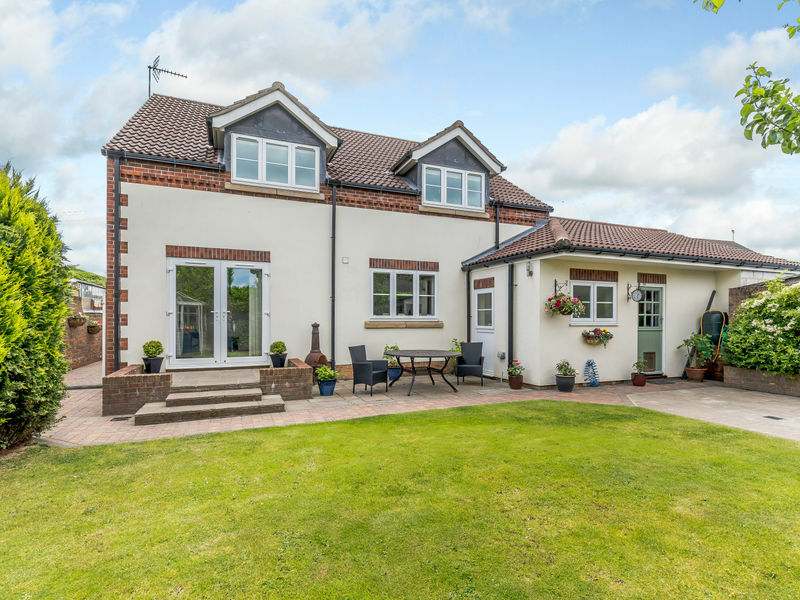 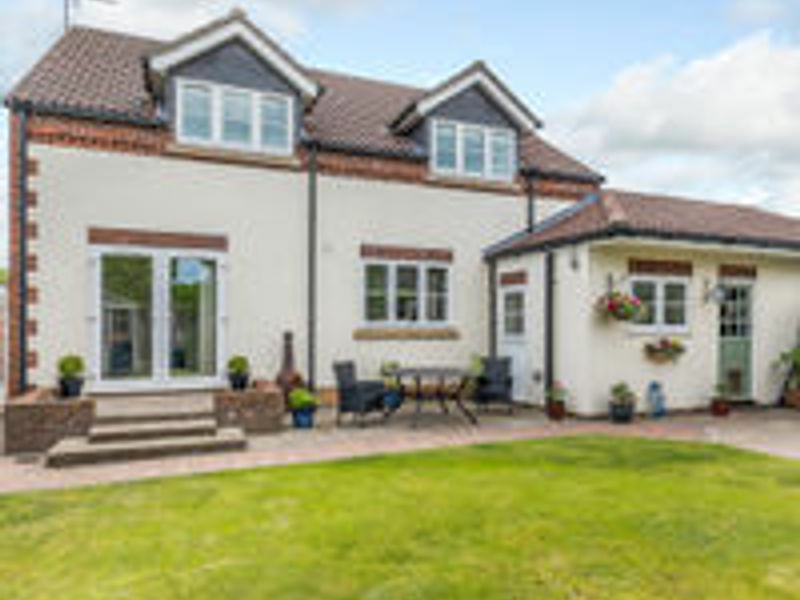 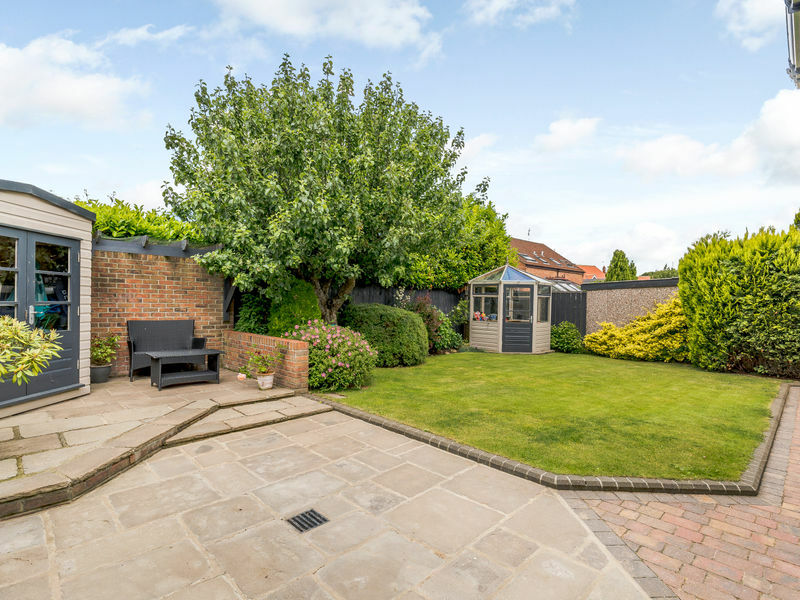 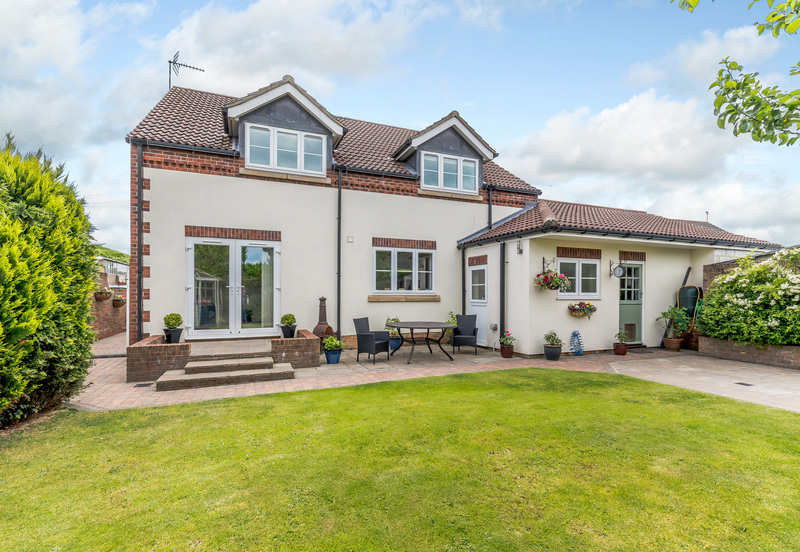 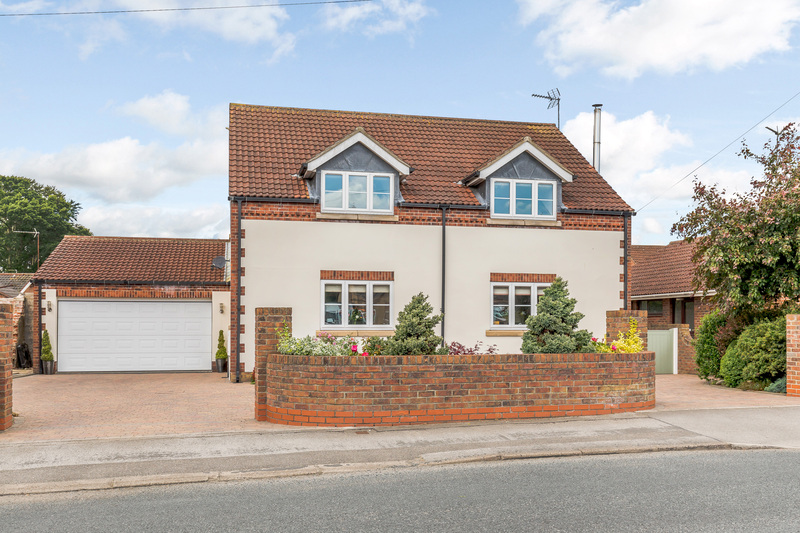 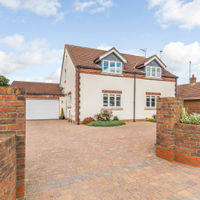 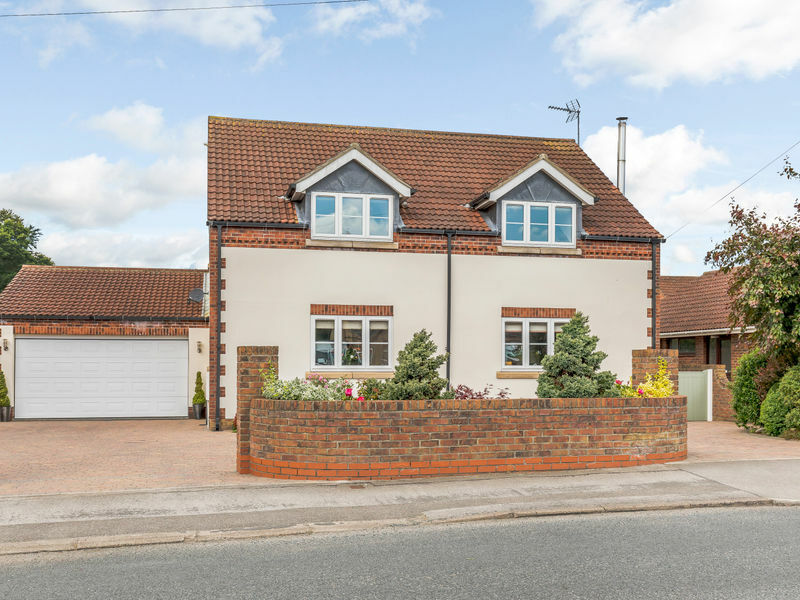 Brandesburton is conveniently located within easy reach of the market Towns of Beverley and Driffield and also to the coastal towns of Hornsea and Bridlington with good public transport links. 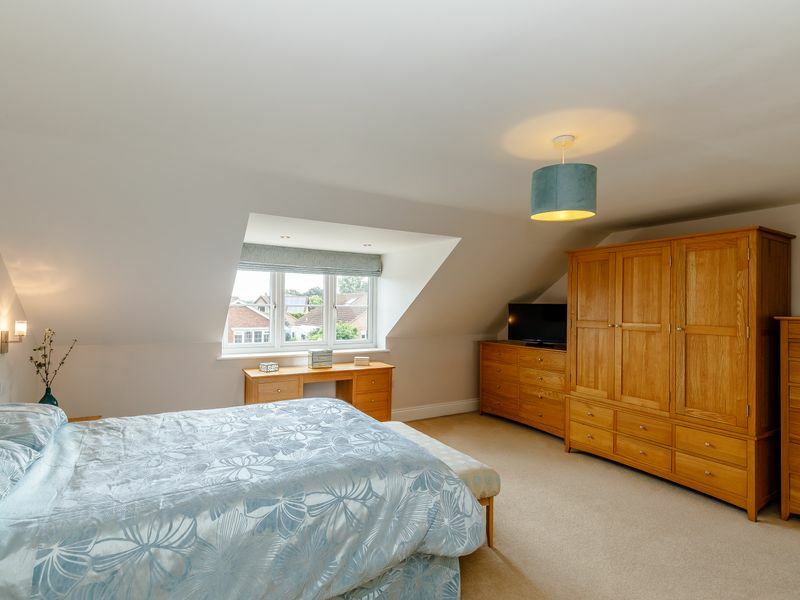 The impressive accommodation is well presented and of a good size and comprises ample living space and well appointed bedrooms. 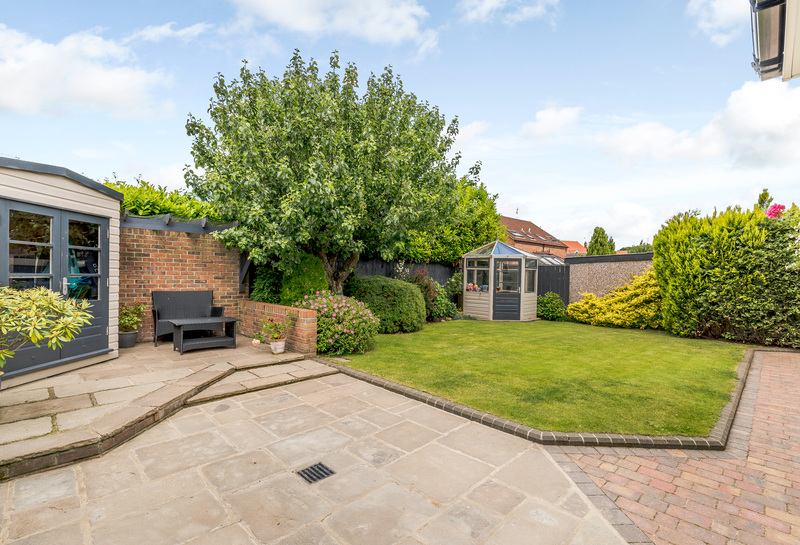 It has a private landscaped garden to the rear and private parking to the front with ample parking and a Double garage. 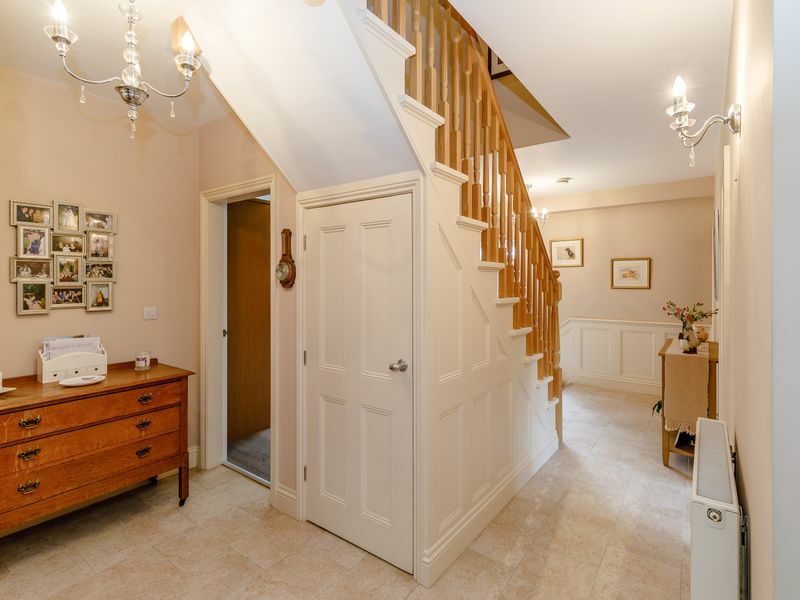 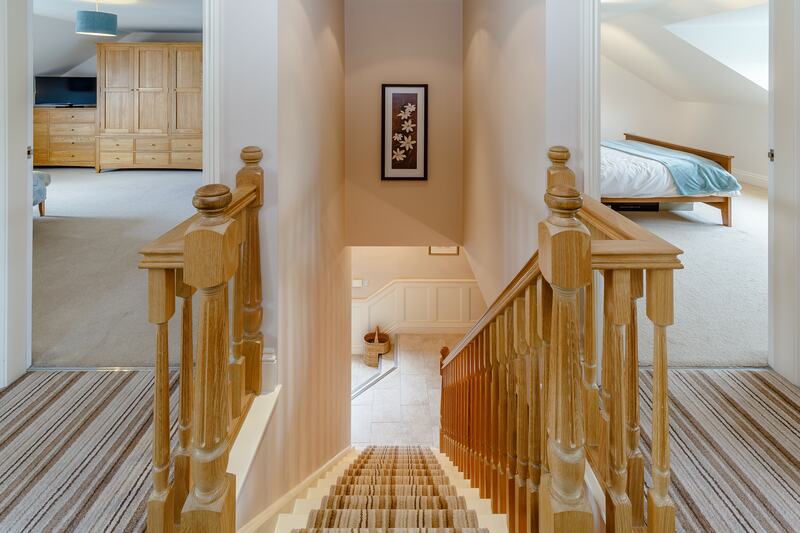 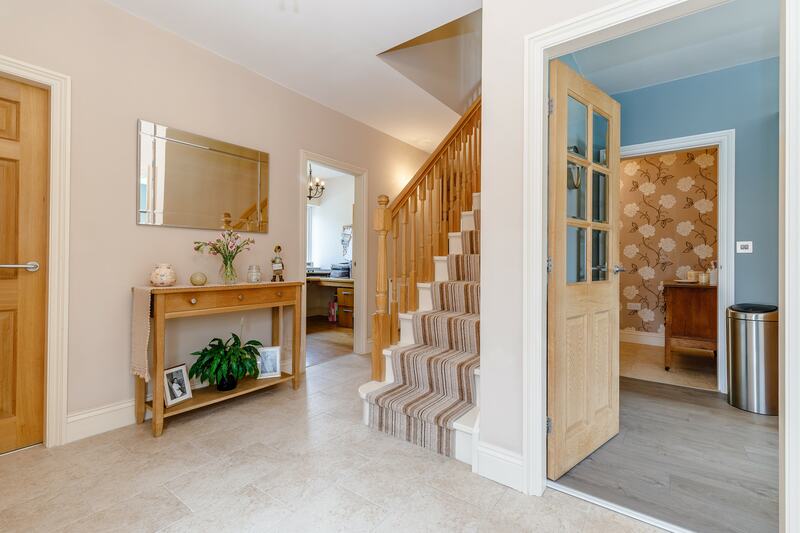 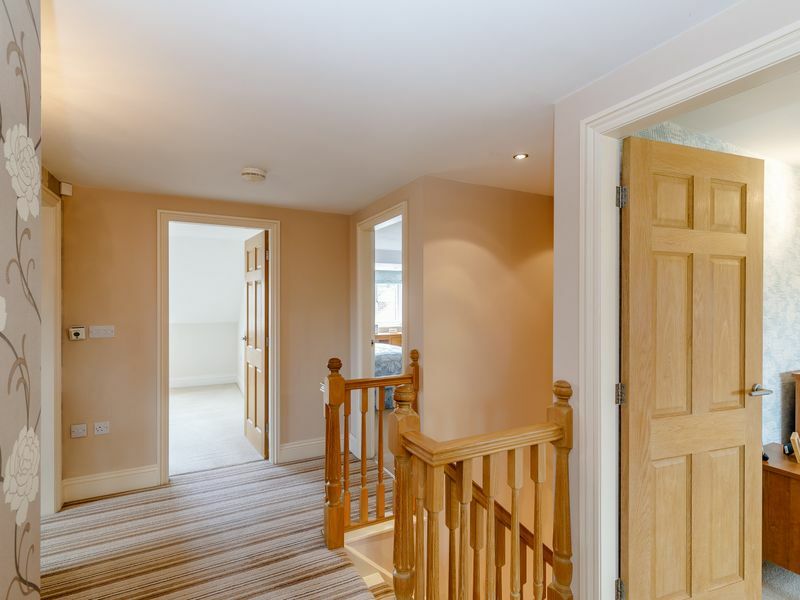 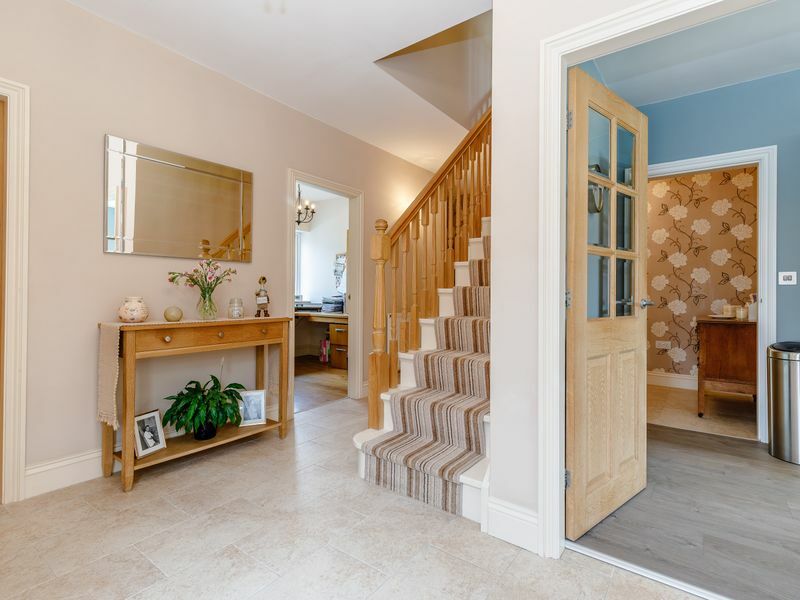 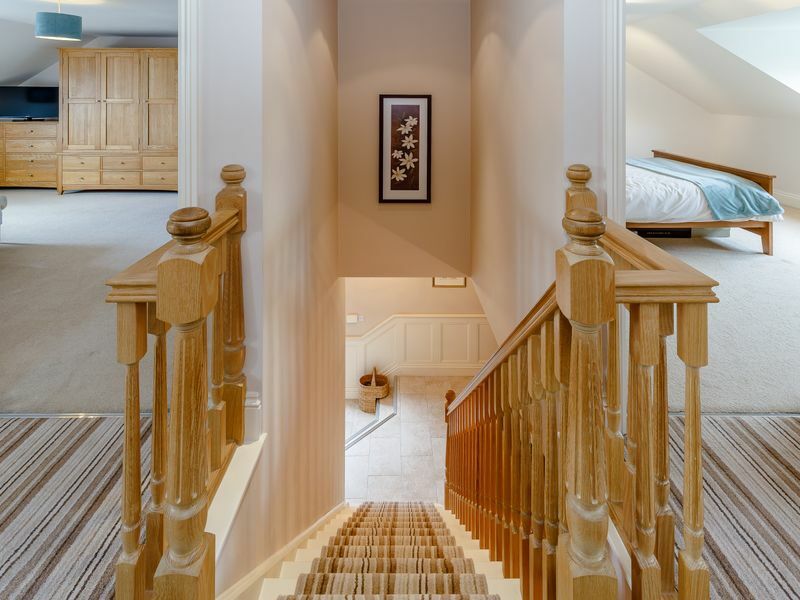 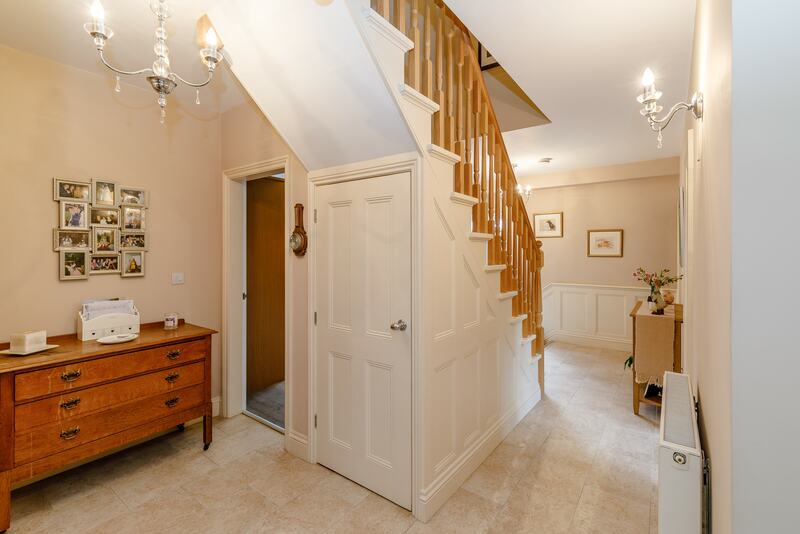 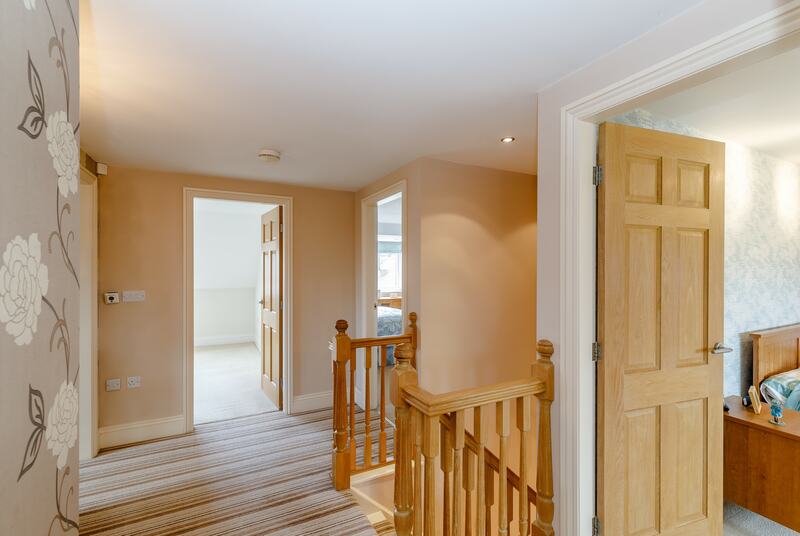 Is bright and welcoming and leads you into each room on the ground floor, it is dominated by the beautiful staircase with oak balustrading, it has a tiled floor and a radiator. 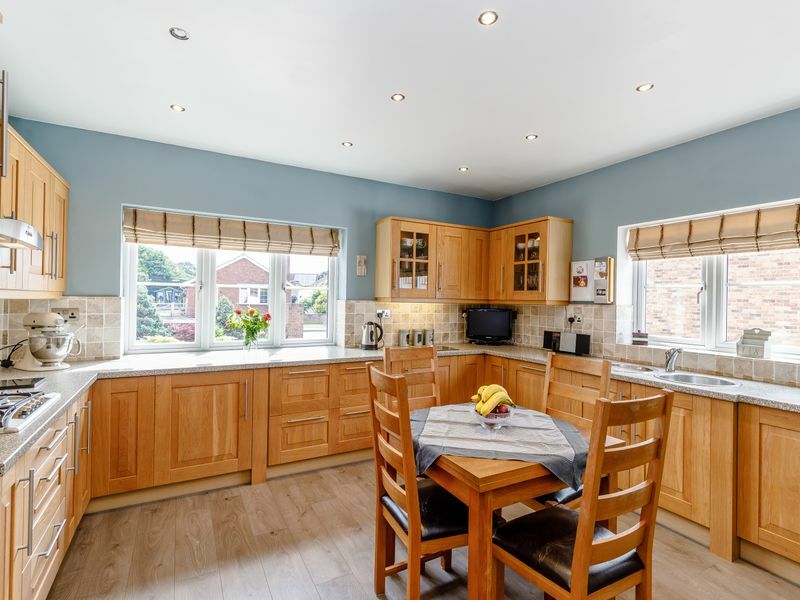 Double glazed windows to the front and side, fully fitted kitchen with oak doors and integrated dishwasher, fridge freezer, Oven and Hob. 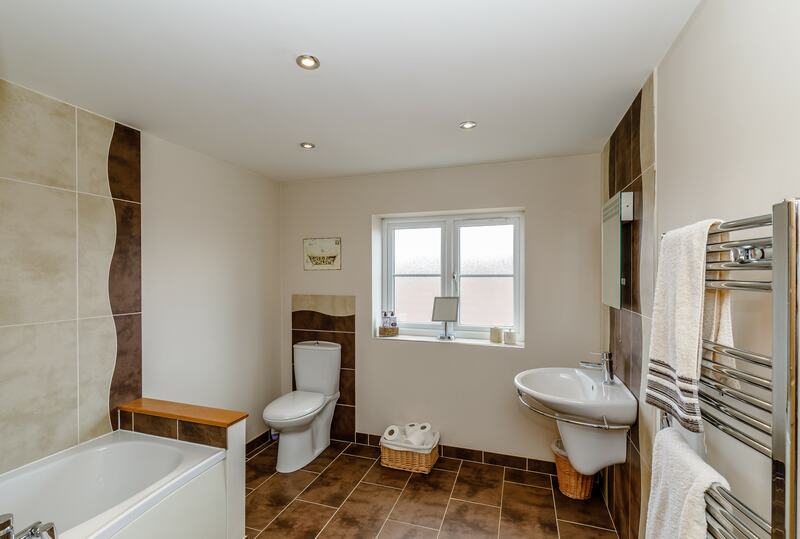 Laminated flooring, with electric underfloor heating and a radiator. 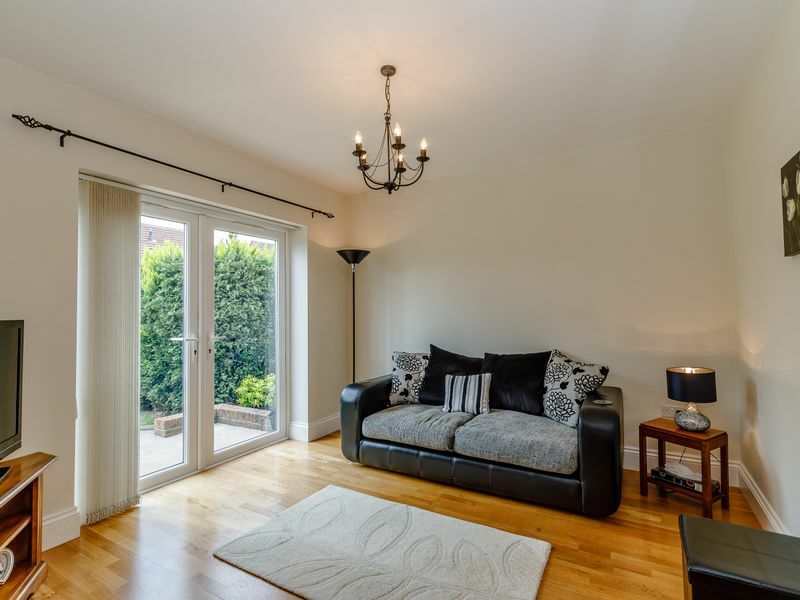 Double glazed french doors which lead out to the private garden, Solid oak flooring, radiator, television and electrical points. 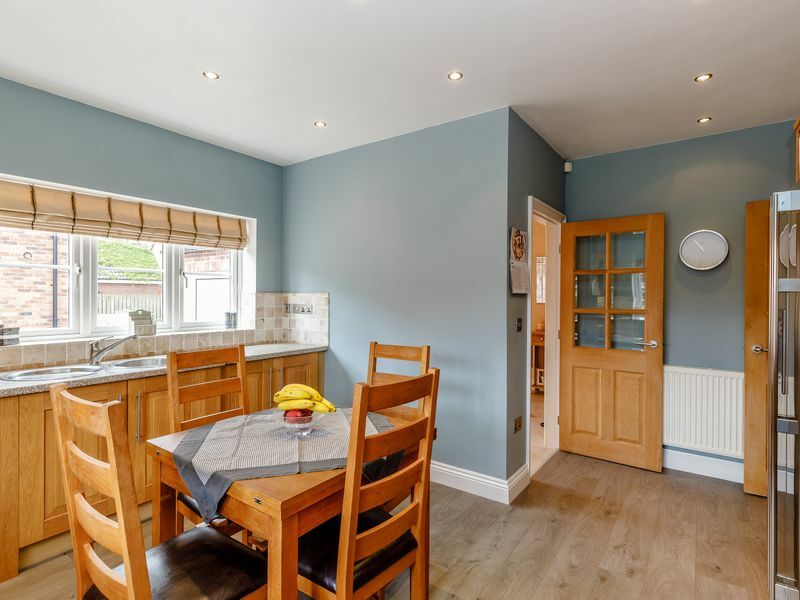 Double glazed windows to the front and side, Solid oak flooring, wood stove burner, radiators on external walls, television and electrical points. 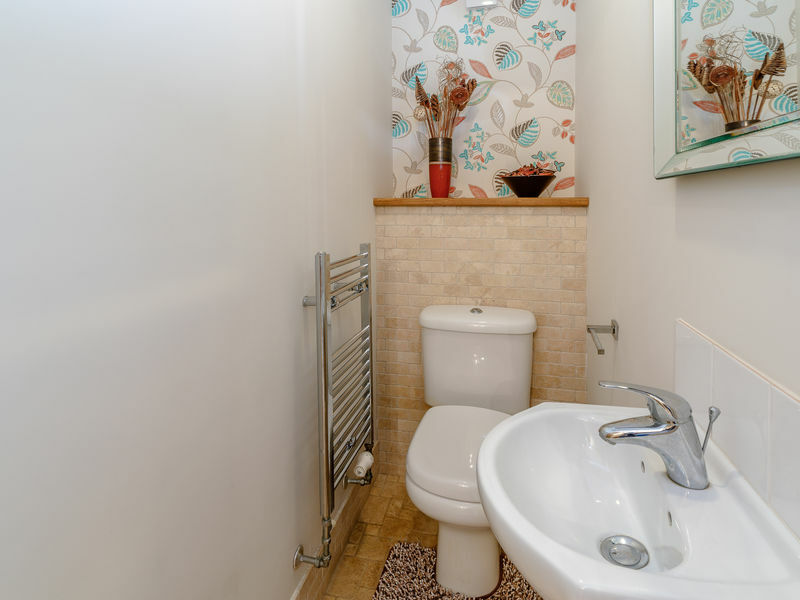 White WC and Handbasin housed in a Vanity unit, Towel rail, tiled floor and extractor fan. 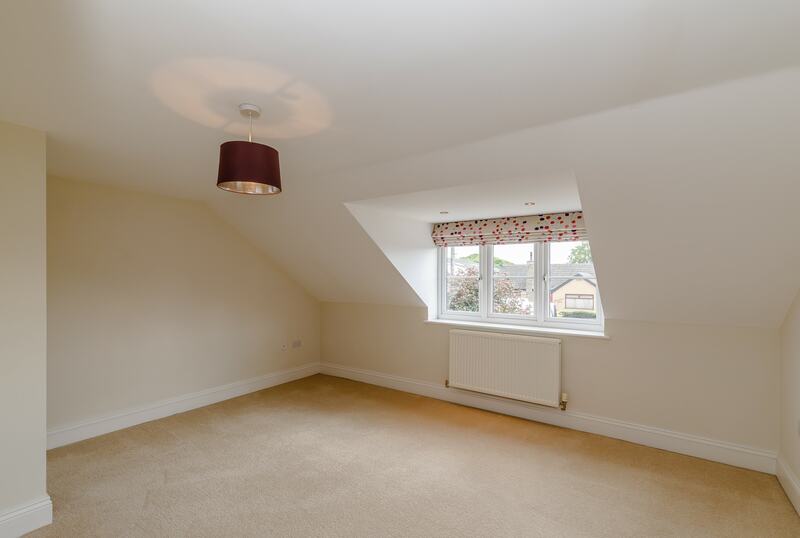 Double glazed window looking out onto the private garden, fitted units and worktops, Solid oak flooring and radiator. 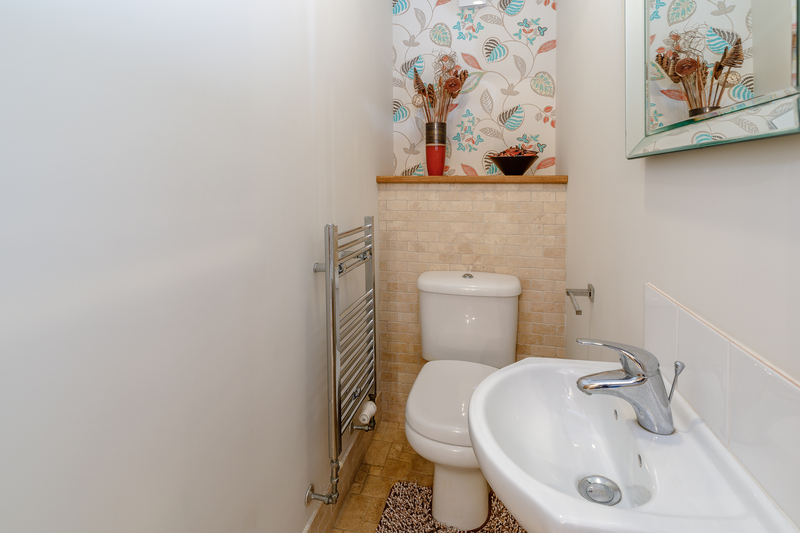 Fully fitted floor to ceiling cupboards, tiled floor and towel rail. 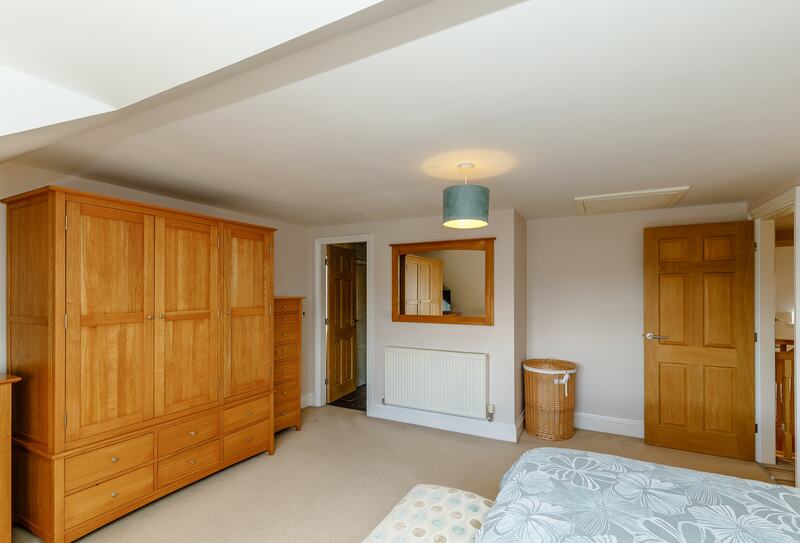 Double bedroom with Double glazed window, fully carpeted, radiator, tv point and electrical sockets. 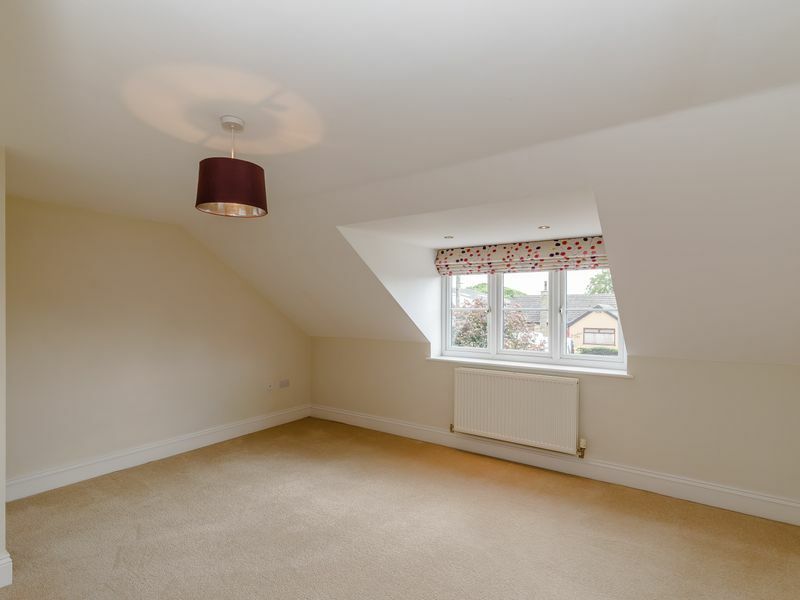 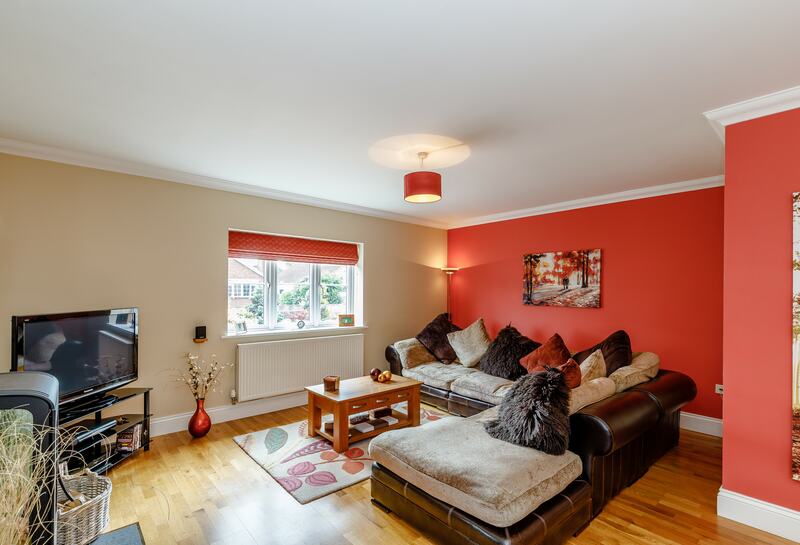 Double bedroom with double glazed window, fully carpeted, radiator, internet access and electrical points. 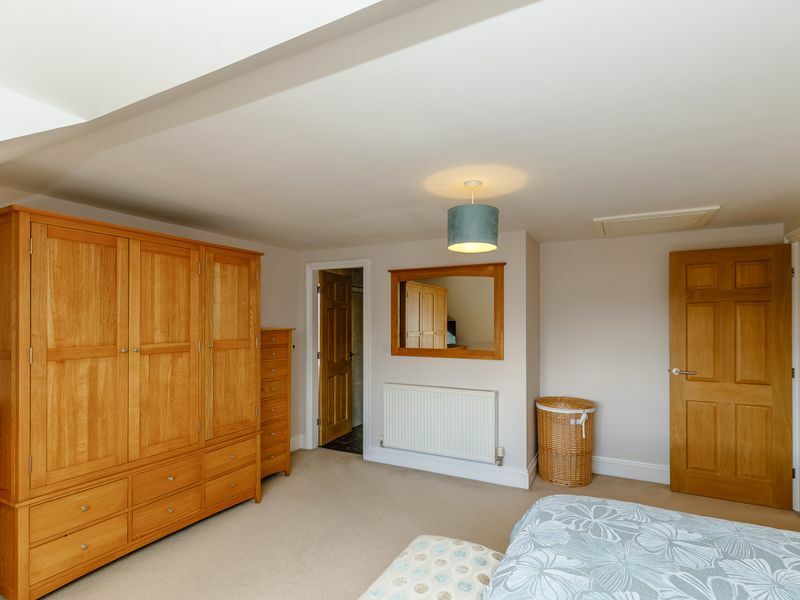 Double bedroom with double glazed window, separate handbasin, fully carpeted with radiator, tv point and electrical sockets. 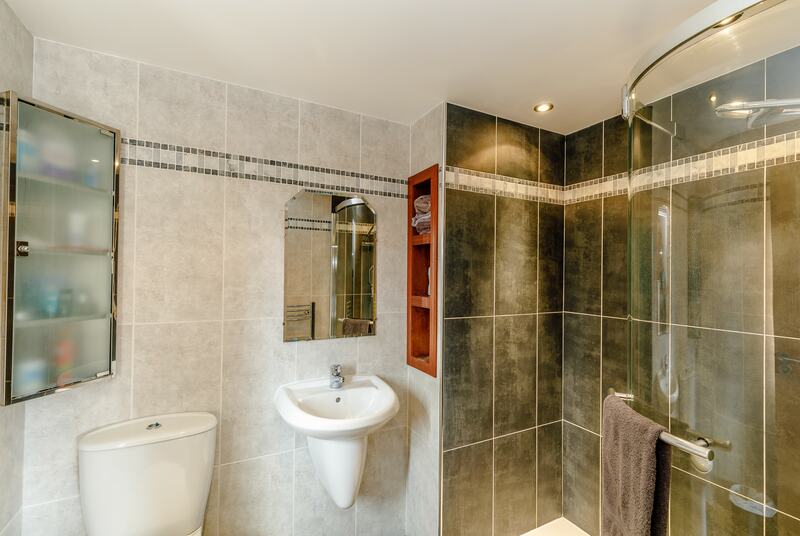 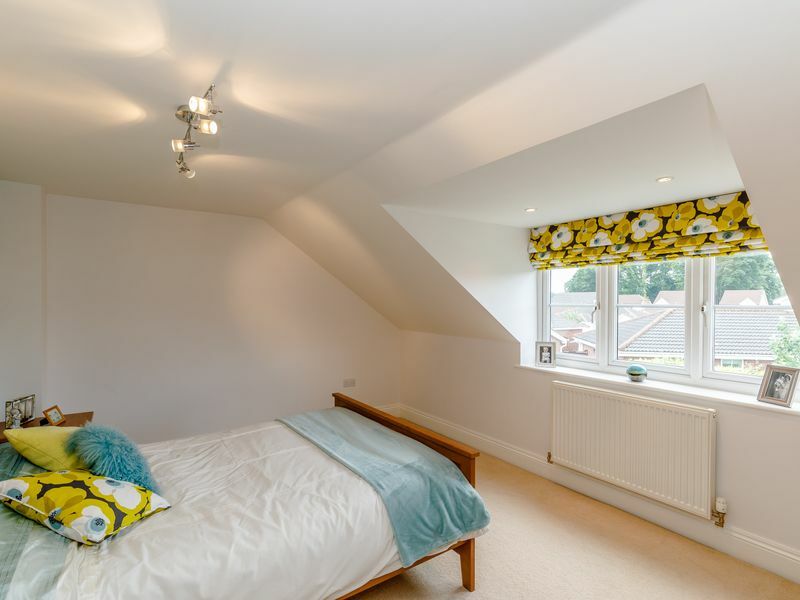 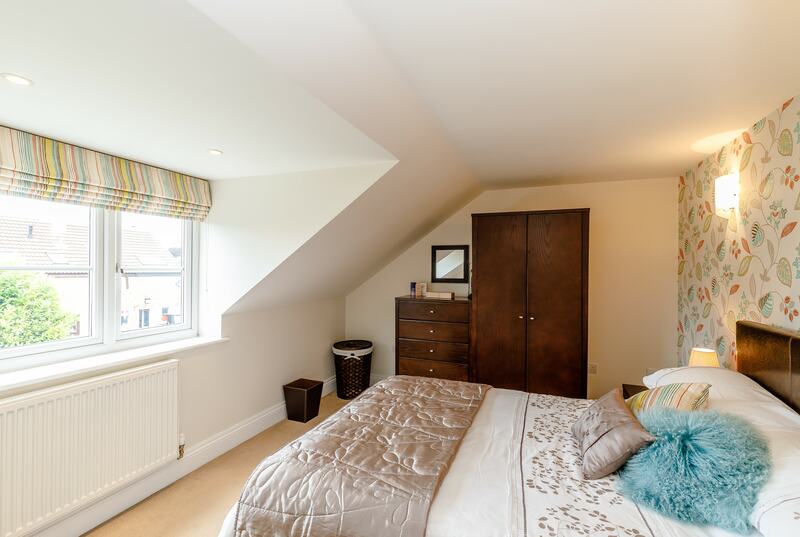 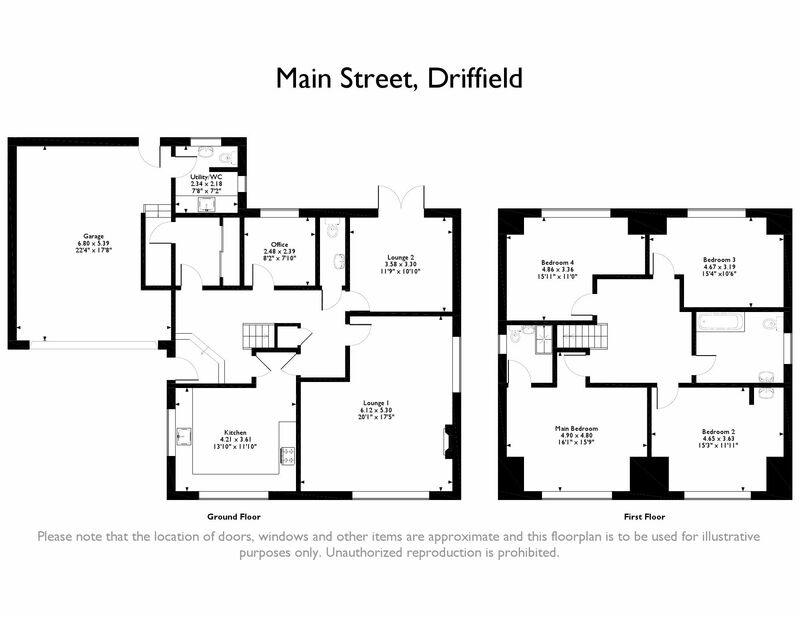 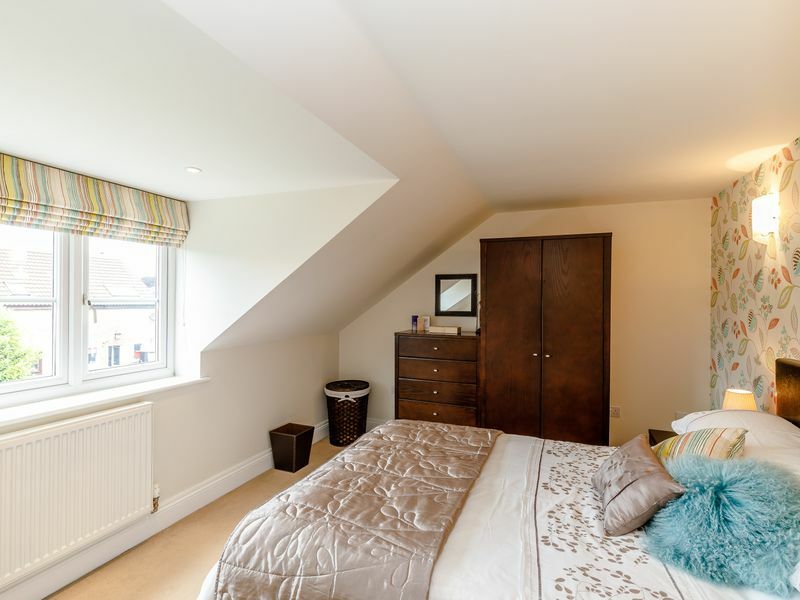 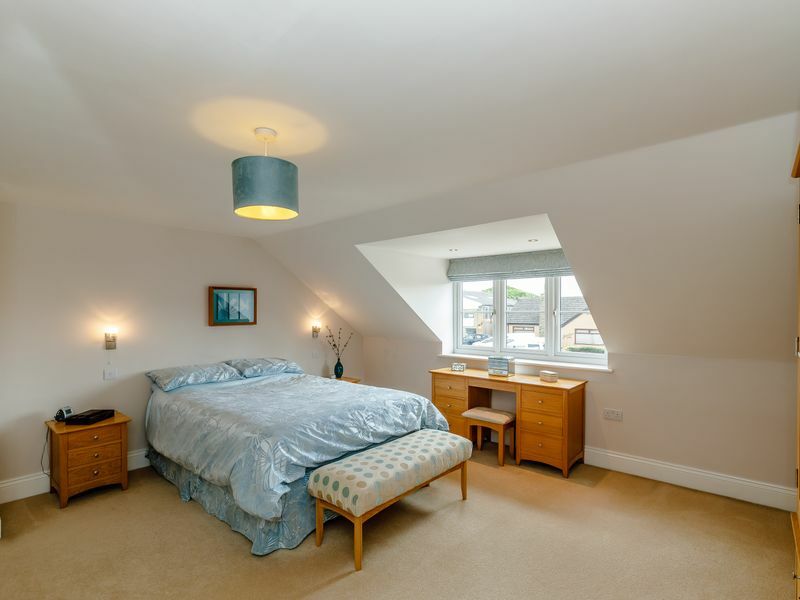 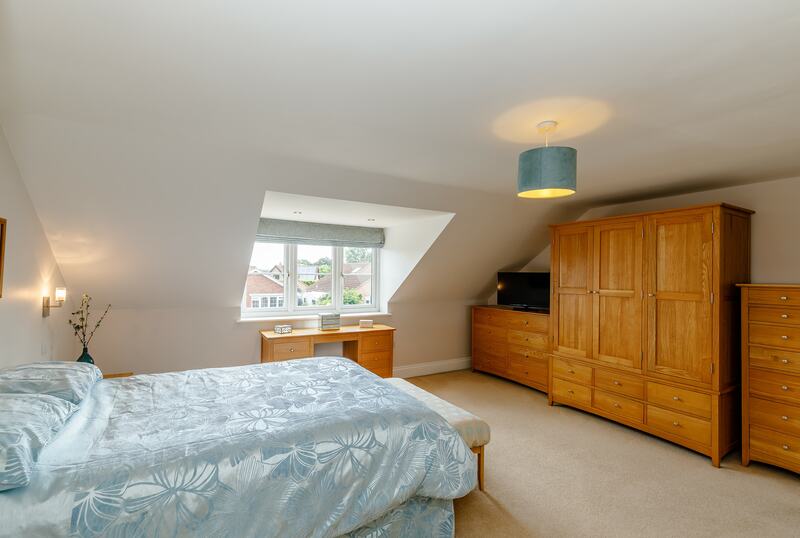 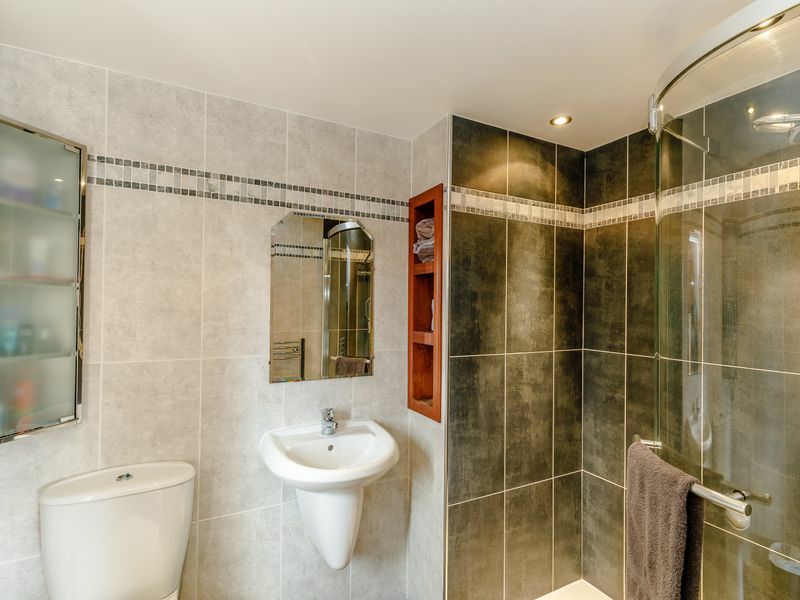 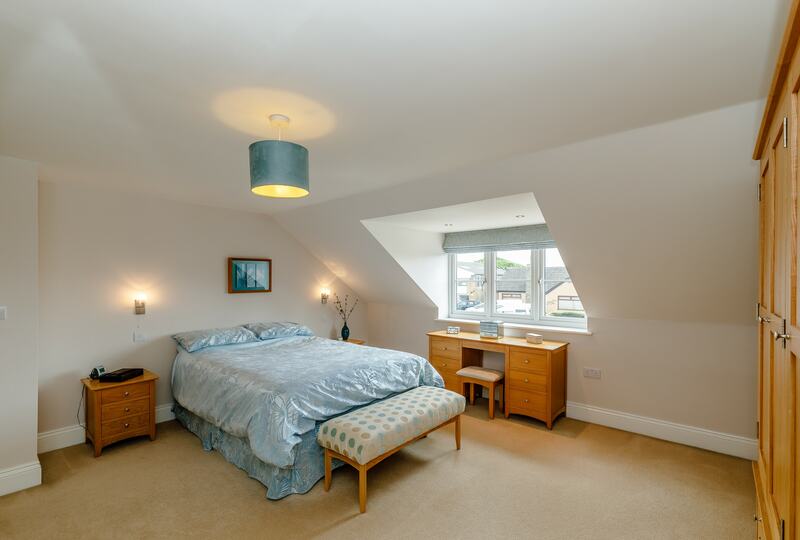 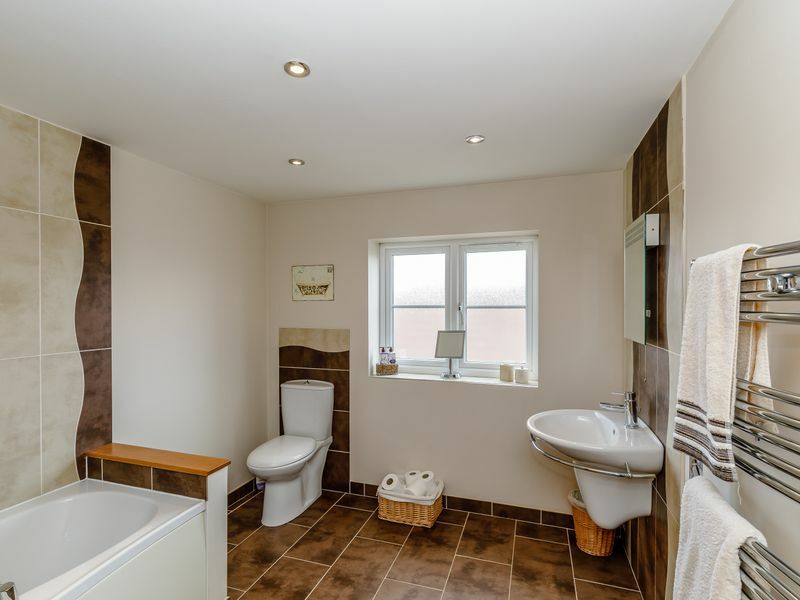 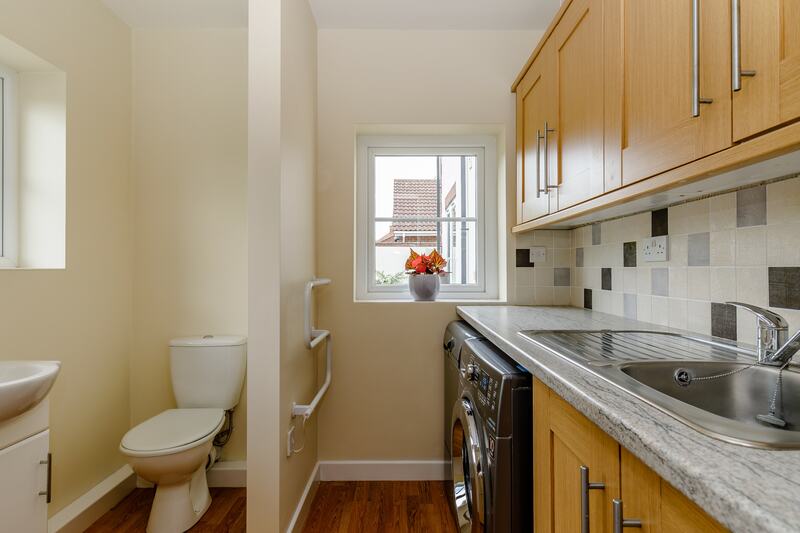 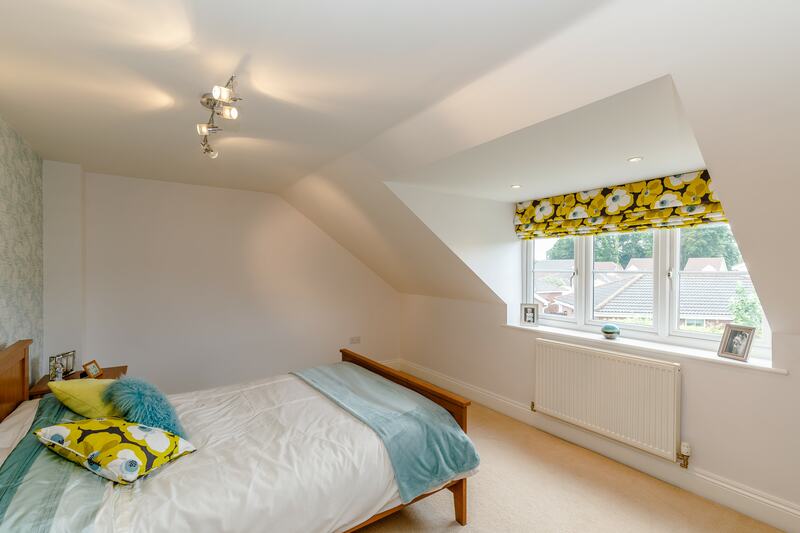 En Suite comprises of white WC and wash handbasin, walk in shower, extractor fan, fully tiled walls and floor with electric underfloor heating and towel rail. 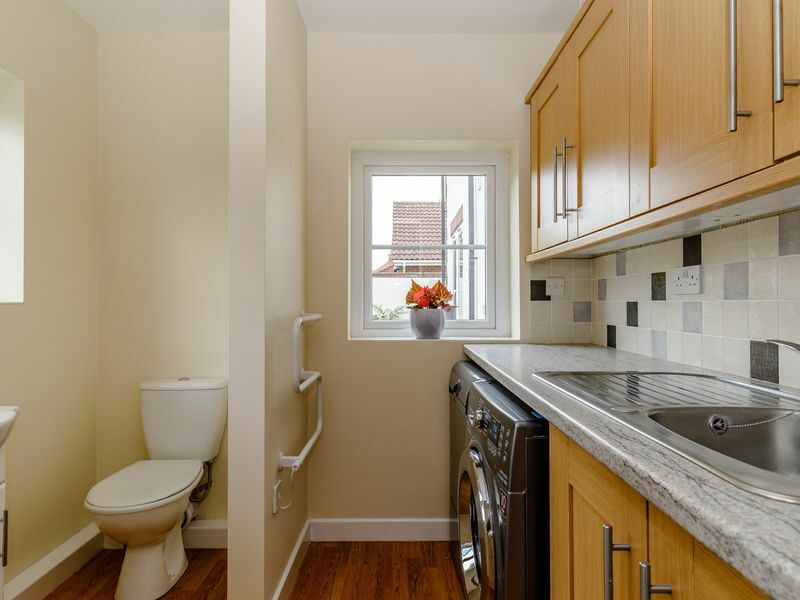 Comprising of fitted units, sink, spaces and plumbing for washing machine and tumble dryer, WC and wash hand basin, electric towel rail and laminate flooring. 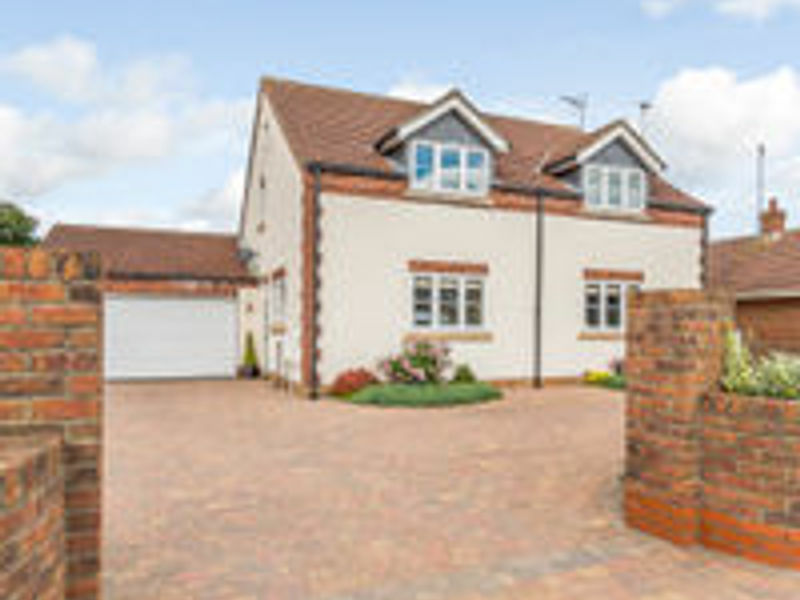 Fully block paved with in and out entrance to provide ample off road parking.